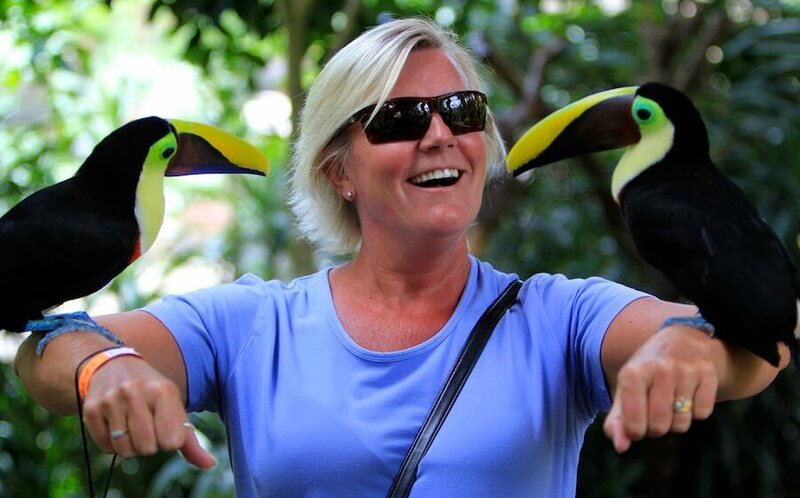 La Paz Waterfall Gardens is one of the most visited ecological attractions in Costa Rica. 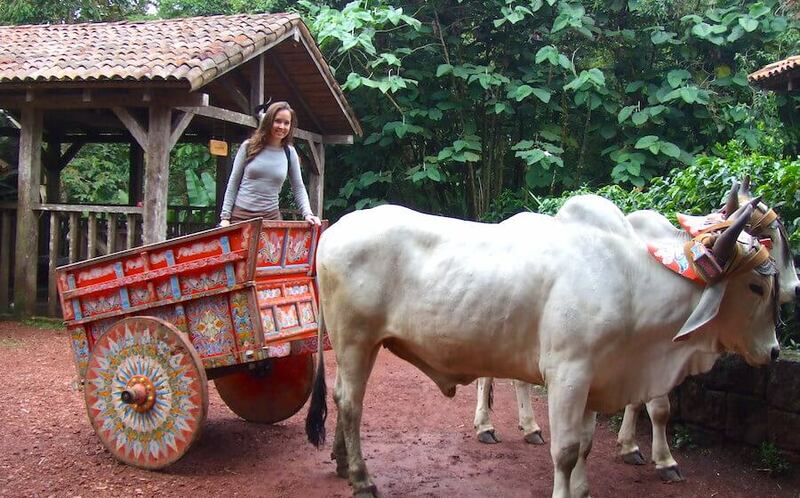 It features some the best hiking near Heredia and it home to an animal sanctuary, with over 100 different species. at roughly 9:00am. Our group will be guided throughout 3.5 kilometers of rainforest walking trails and educational exhibits. The gardens are home to a butter y observatory, aviary, orchid display, frog house, serpentarium, jungle cat exhibition, and hummingbird garden with 26 different species. 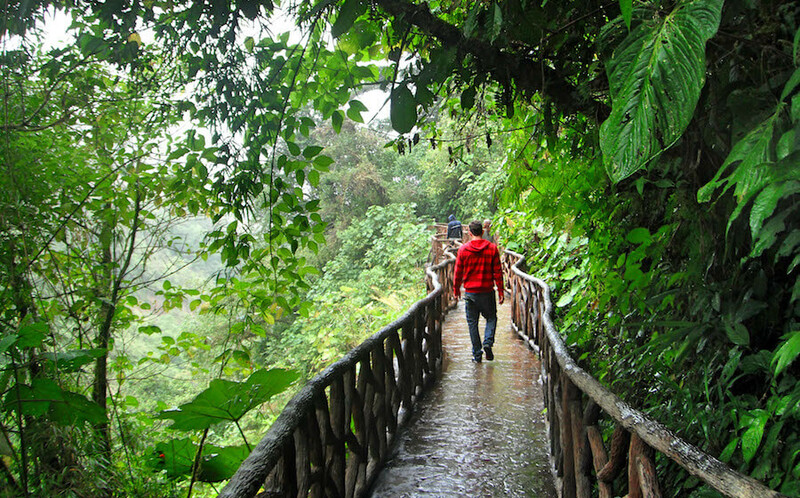 Beyond the exhibits, there are also a series of trails that link the waterfalls of Rio La Paz. As we hike along the trails, we will stop at viewing platforms that will give us breathtaking views from beneath the spectacular falls. 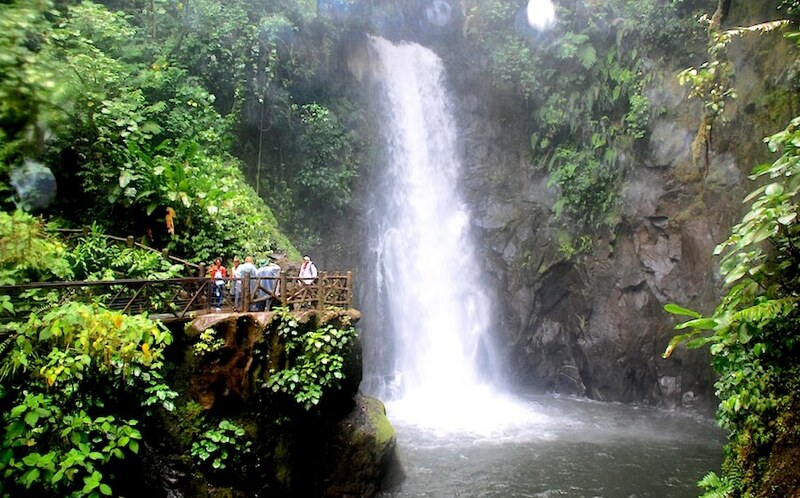 The nal highlight of the tour will be reaching the famous La Paz Waterfall, Costa Rica’s most photographed waterfall. Your tour will end with a delicious lunch at the Colibries Restaurant before we return to Heredia for 3pm.